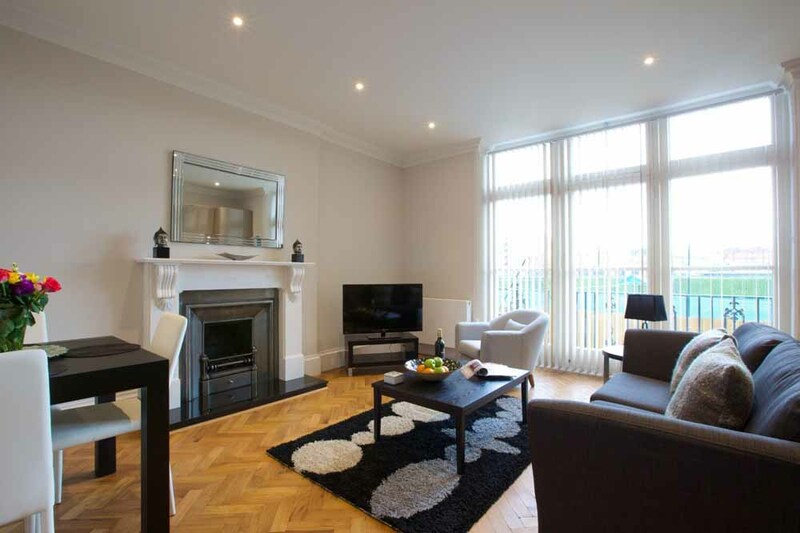 West Kensington Apartments are situated near Earls Court overlooking the private..
West Kensington Apartments are situated near Earls Court overlooking the private sporting and tennis club, The Queen's Club. 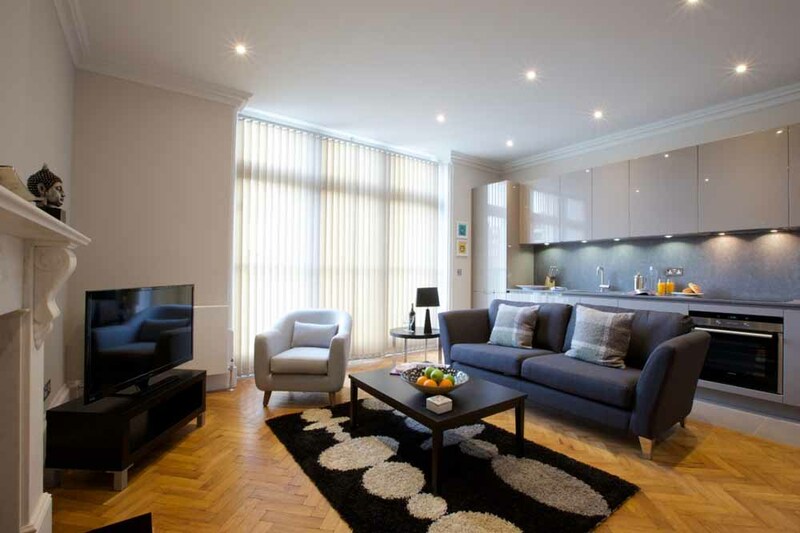 Ideal for both business and leisure stays, these apartments benefit from a close proximity to Olympia Exhibition Centre, Hammersmith and Chiswick as well as South Kensington, Chelsea and Knightsbridge. 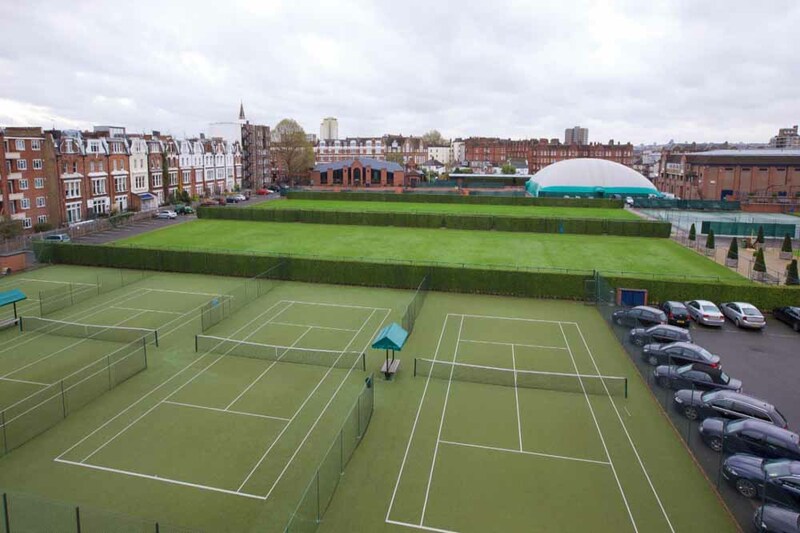 Earls Court enjoys a bustling array of multicuisine restaurants, convenience stores, pubs, cafes and supermarkets and is home to important medical institutions like the Bupa Cromwell Hospital. 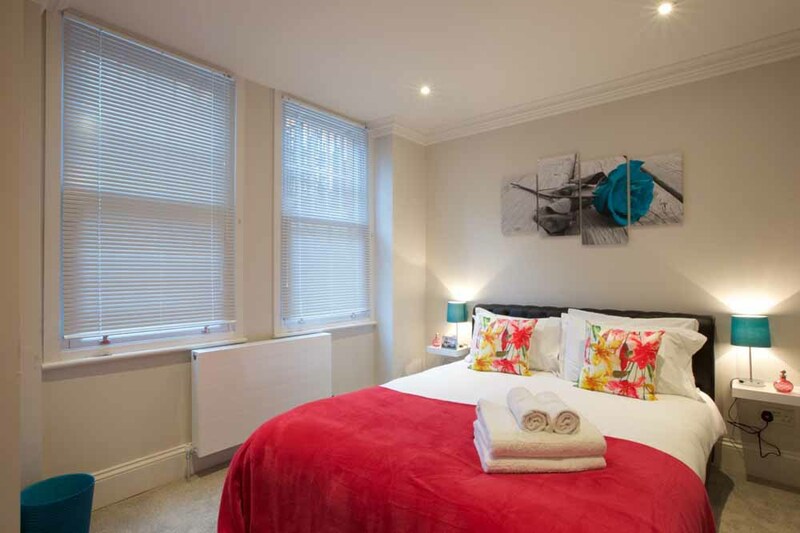 The Hammersmith Apollo, Lyric Theatre and South Kensington's reknowned cultural hubs like the Victoria and Albert Museum and the Natural History Museum are within arm's reach via the local tube stations, Barons Court and West Kensington. 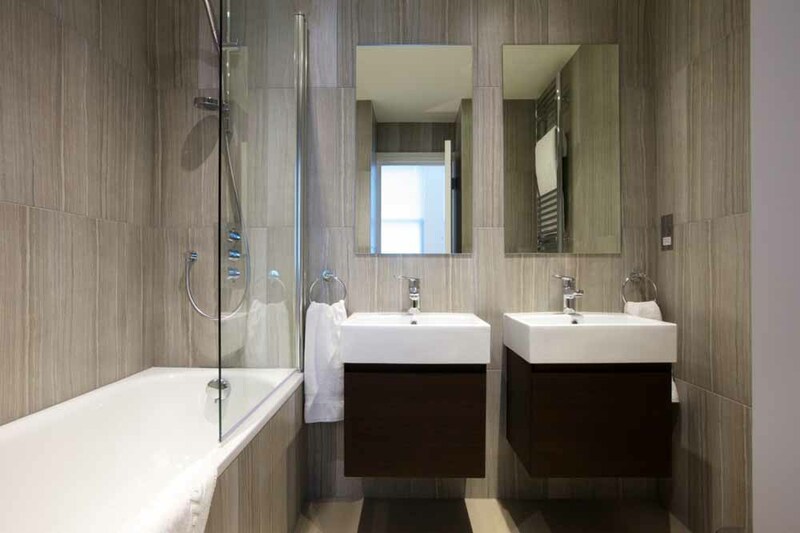 These transport links also feature direct connections to Heathrow Airport and St Pancras International Station, from where the Eurostar line operates. 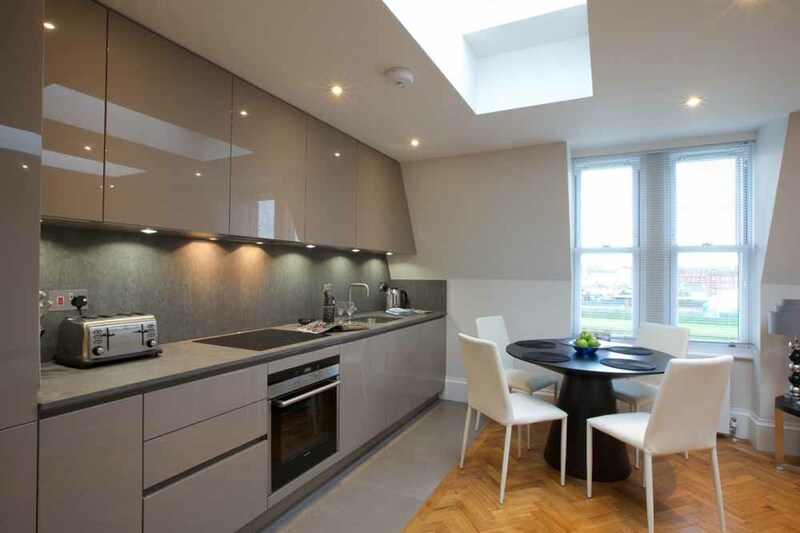 West Kensington Apartments are a set of newly refurbished London short let apartments in a Victorian terrace close by to both West Kensington and Earls Court. With balcony views, private courtyards and modern interiors, these apartments are an ideal base from which to explore the city. 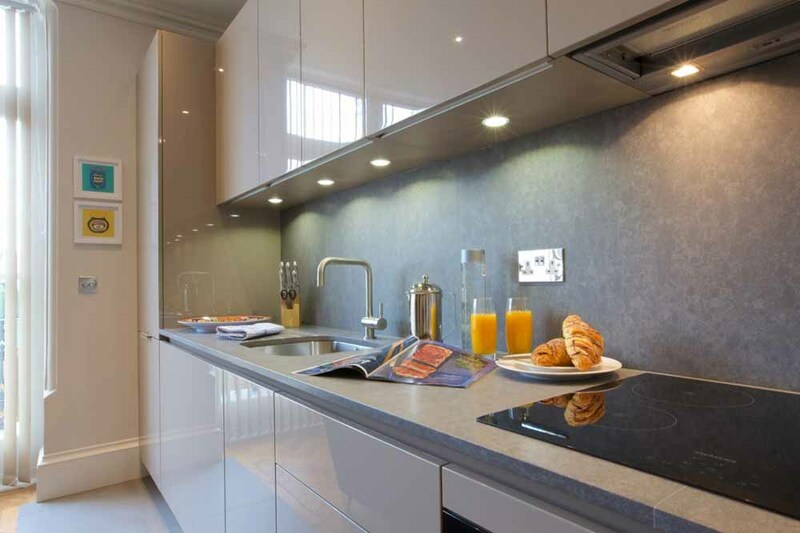 Wooden flooring, stylish integrated kitchens and colourful furnishings combine to make a home away from home feel with all the additional facilities that you would expect from a hotel. Sleeps two. 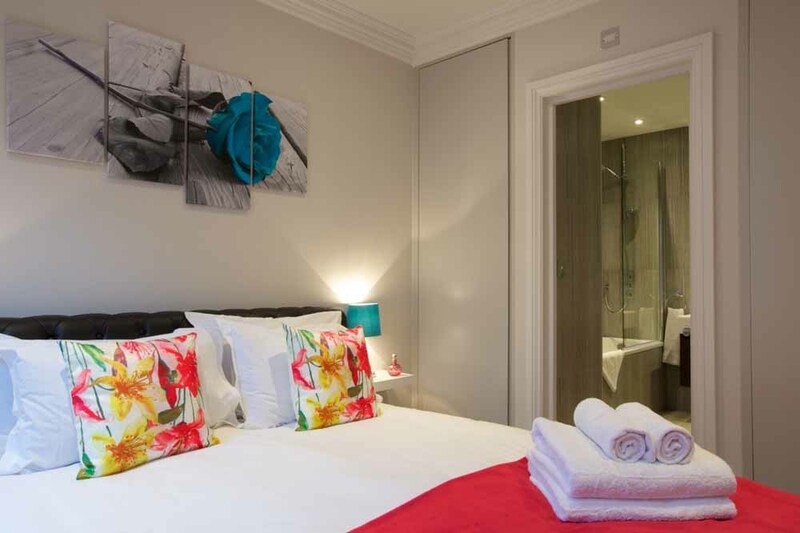 This apartment has one separate bedroom with a king size bed, one bathroom, one guest toilet, a fully equipped kitchen and a spacious living and dining room. 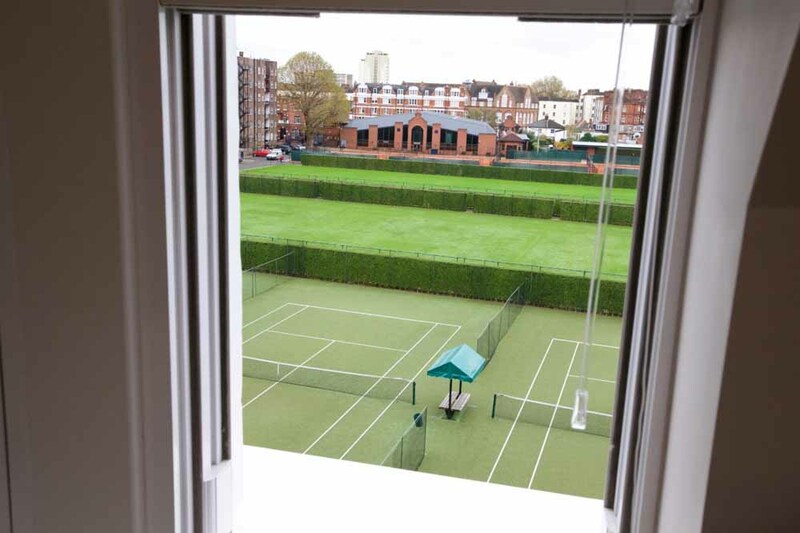 These apartments also have either a private courtyard or a balcony overlooking The Queens Club. Sleeps four. 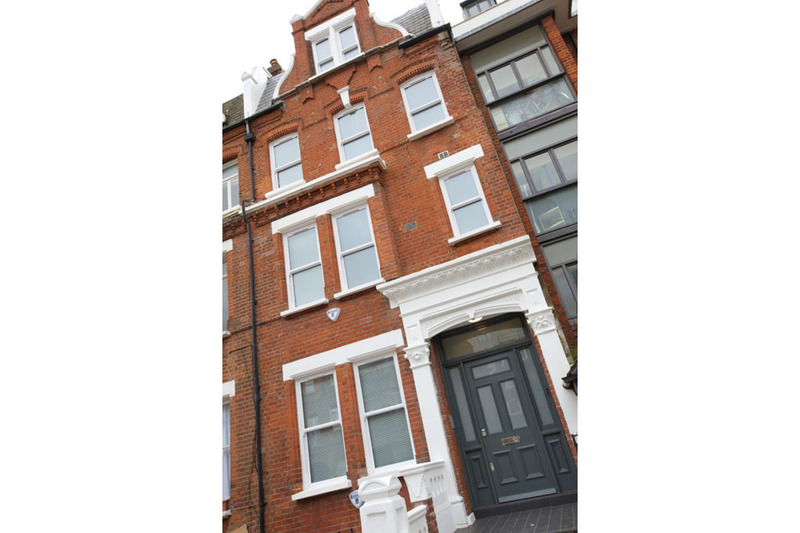 This apartment has two bedrooms each with a double bed, one bathroom, a fully equipped kitchen and a spacious living and dining room.